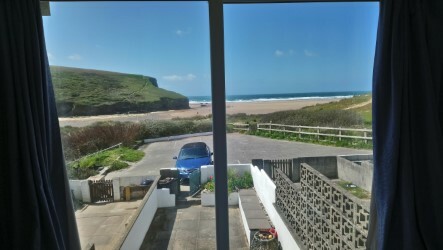 Our two bedroom holiday house sleeps 5 and is situated right by the golden sandy beach at Mawgan Porth, 5 miles from Newquay and 7 miles from Padstow. 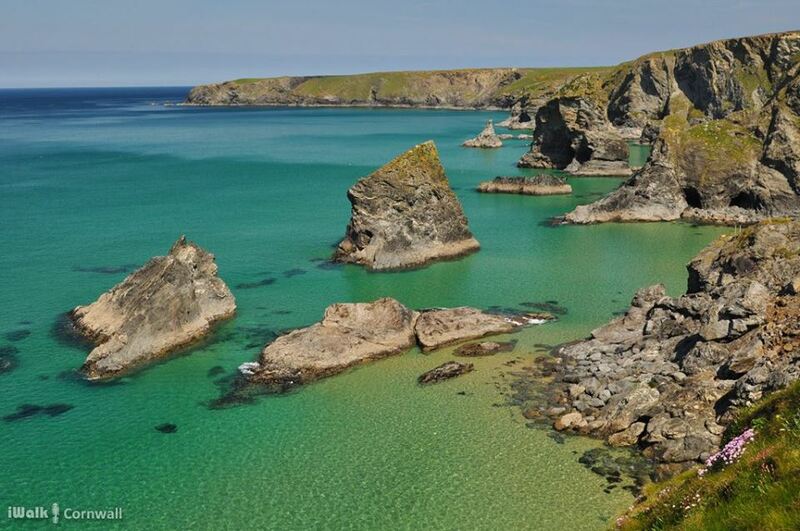 An ideal central base to discover Cornwall, Mawgan Porth seems to have its own weather system with far more solar hours than most Cornish villages. 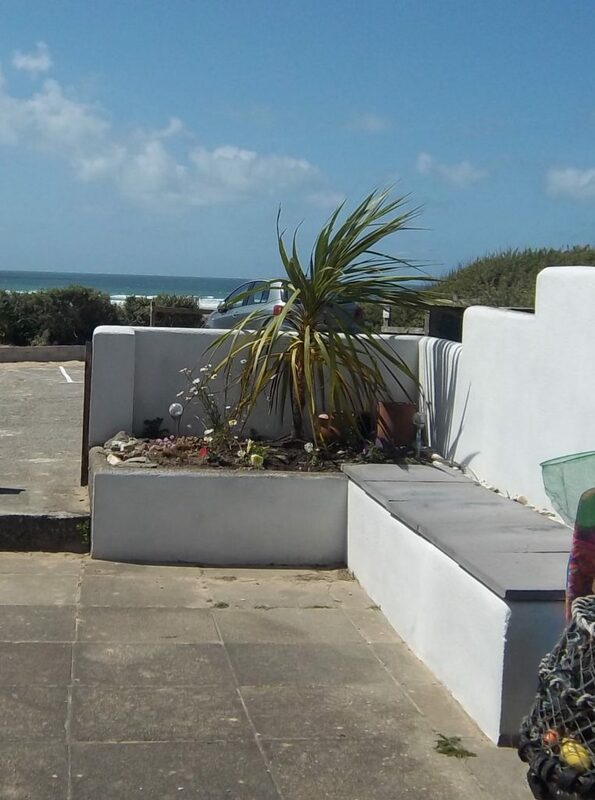 Seaview House is within a small terrace of houses which back onto a small parking area leading directly to the beach. The house is particularly suited to families, couples and surfers. It has two bedrooms.Wake up to this view…. Bedroom 1 contains a double bed. Bedroom 2 has a double futon with single bunk above. 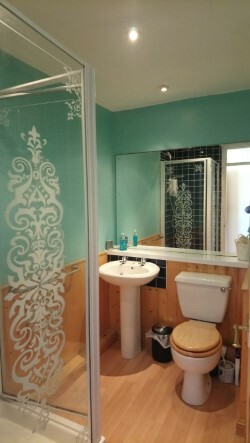 A shower room upstairs has a toilet, wash basin and shower. Duvets and pillows are provided but guests will need to bring their own covers and towels. A travel cot is available to hire for an additional £10 per week. 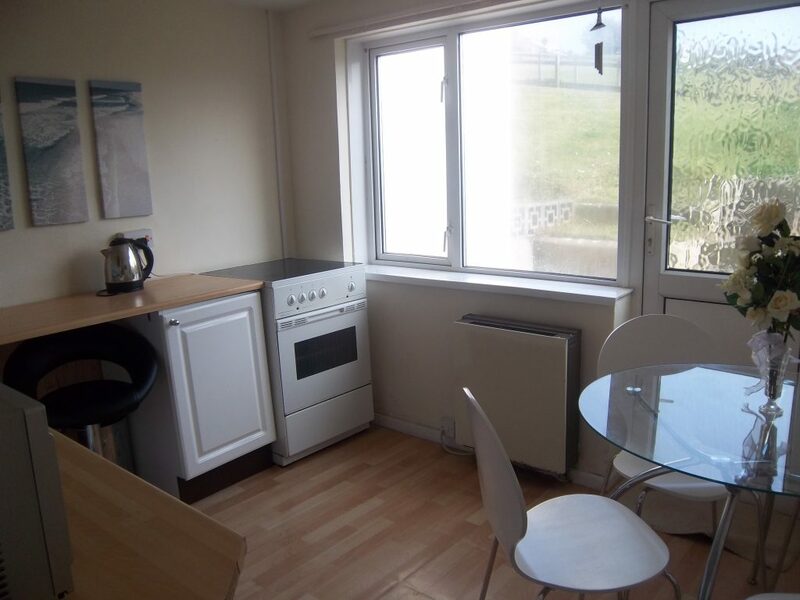 Downstairs has a lounge with TV & freesat and a kitchen which contains cooker, oven, microwave, washing machine and fridge/freezer. There is a small patio area at the front of the house, and a larger area at the back which is great for barbeques whilst watching the spectacular sunsets. The house is bright and airy and catches the sun all day. The house is situated right on the golden sandy beach and you can wake up in bed and check out the waves with uninterrupted views from the main bedroom. We have recently replaced the window with a full width patio door (with safety restrictor) to allow full benefit of the view; we are hoping to add a balcony in the near future. The beach is a few minutes walk over your own “secret” path across the dunes. The sand is fine and great for sand castles.There is often volleyball,football and beach cricket and on Tuesday nights surf lessons for children with Kingsurf and during summer, pony rides! 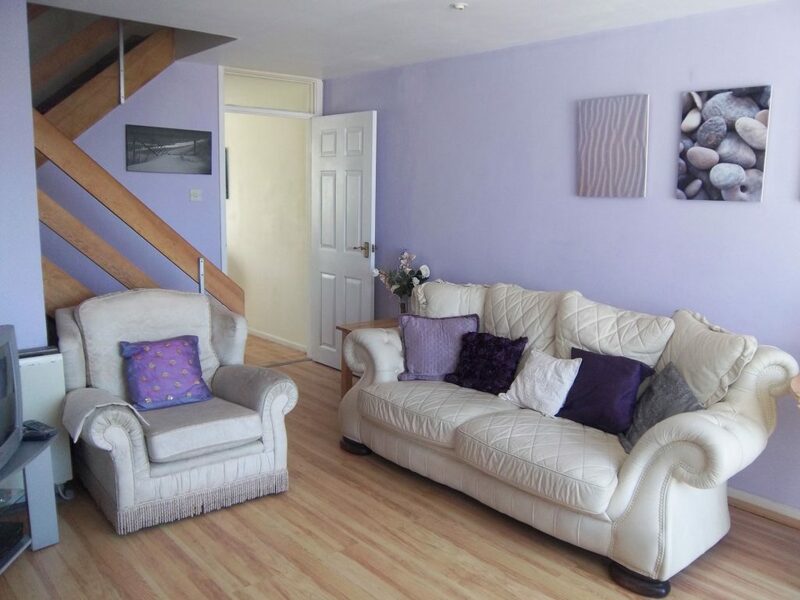 The house is located in a quiet area 5 minutes walk from the nearby village shops, restaurants, pitch & putt course and two pubs – a quiet family village. 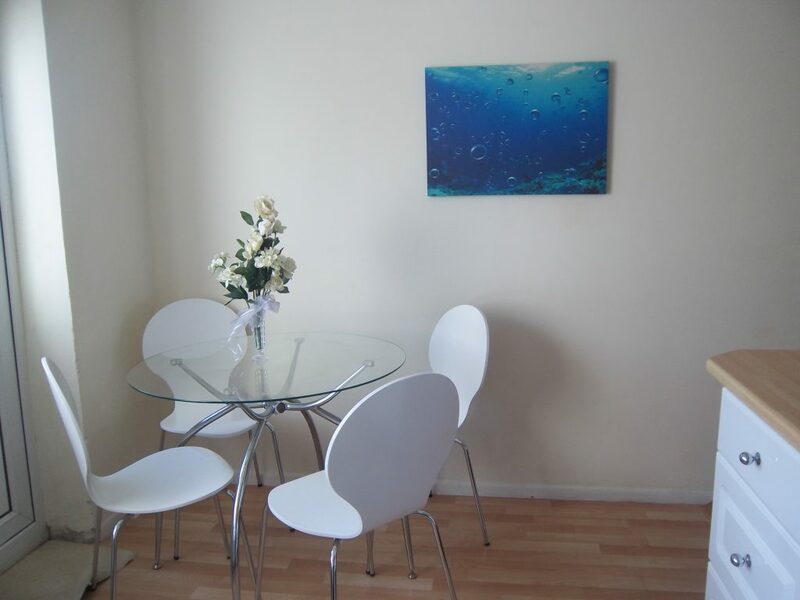 There are family eateries minutes walk away, also Surf hire facilities and lessons. A small convenience store caters for your day to day needs. 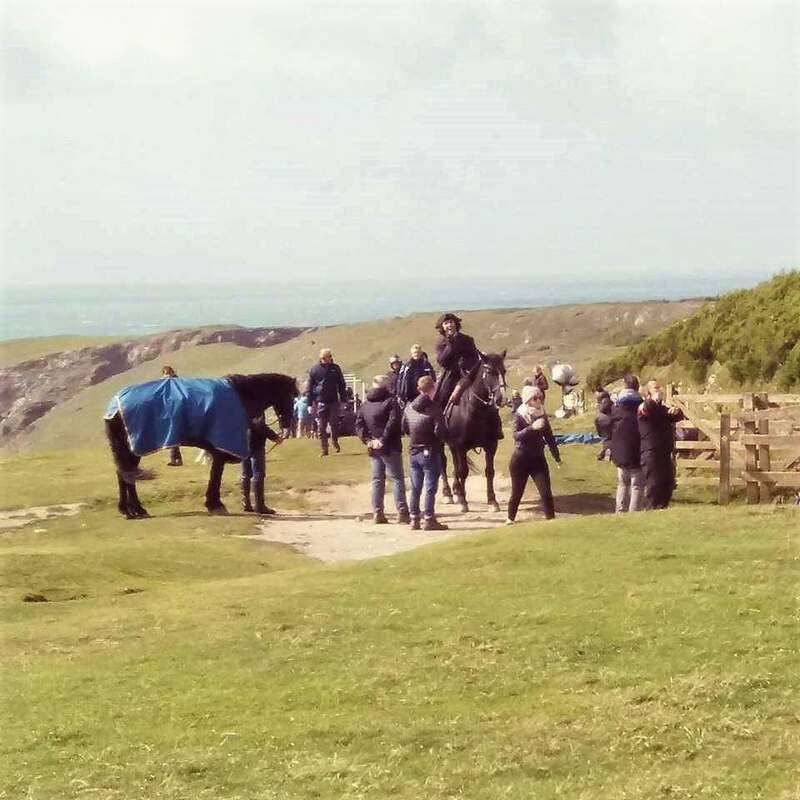 Plenty of leisure facilities are to be found in the immediate area, horseriding,coasteering, horse riding, golf, karting, coastal walks, fishing, aquarium, leisure centre and swimming pool. Plenty of rockpools for children and also coastpath is right by the house. 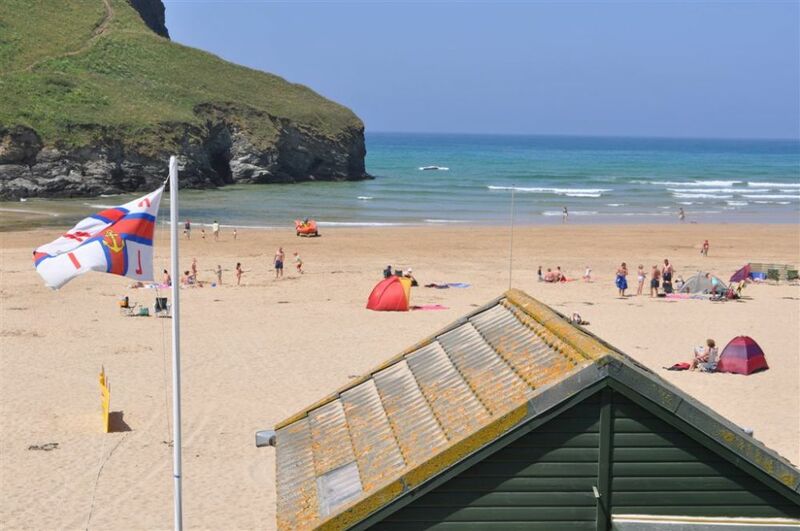 There is a RNLI lifeguard service from around easter to october.Children and family attractions nearby at Creally, Dairyland, gardens, and all the nightlife of Newquay within easy reach. The world acclaimed Eden Project is just half an hour’s drive away and you are centrally based to discover many other attractions in Cornwall, such as the quaint cobbled streets of St Ives and Padstow or pretty, tucked away fishing villages with their romantic smuggling history. 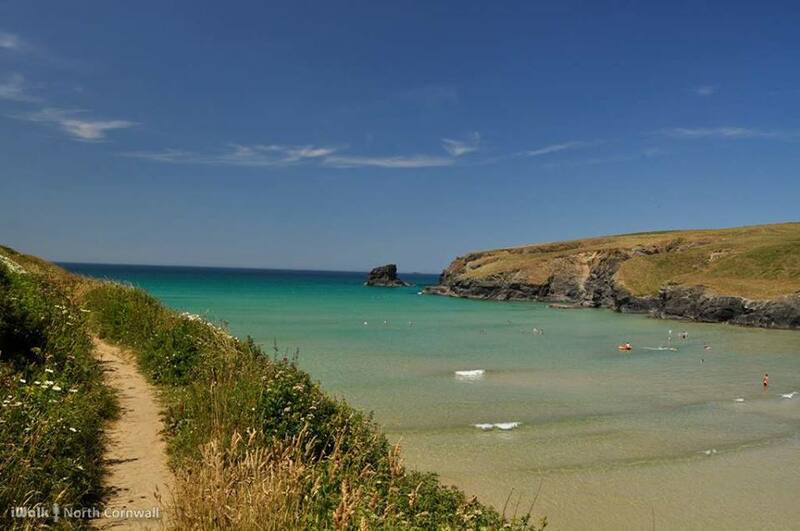 Taxi and bus services are available and Tesco deliver to the area.Dog friendly beach all year around! For a quick overview of our house and the surrounding area, have a look at our Slideshow of photographs. 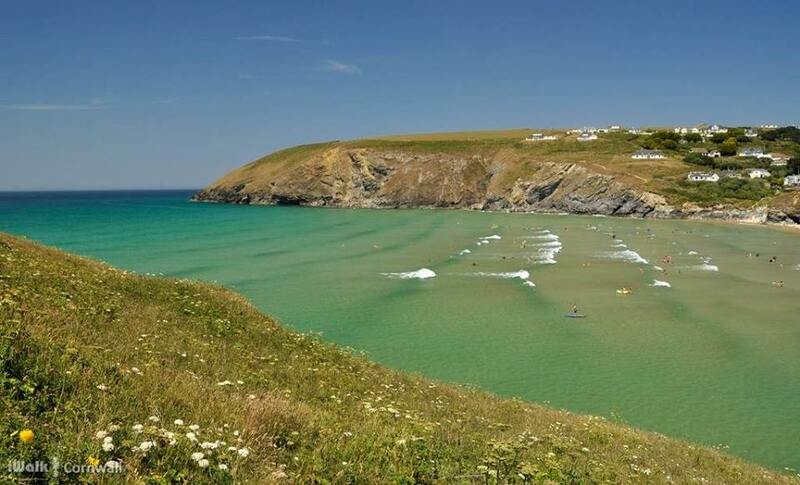 “King Surf” is a Surf School based in Mawgan Porth. 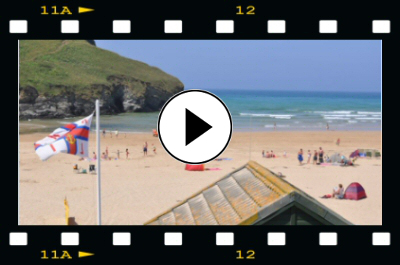 They have produced a video which not only introduces themseleves, but has some lovely shots of Mawgan Porth and the beach. We have a Manual with helpful details about the house, and also information about local places to visit and things to do. Please click the PDF icon to open it. You will need to have Adobe PDF Reader installed. This will open in a new browser window.